First introduced in 1960, the Corvair two-door coupe and convertible models have fantastic sporty lines that look great from almost any angle. 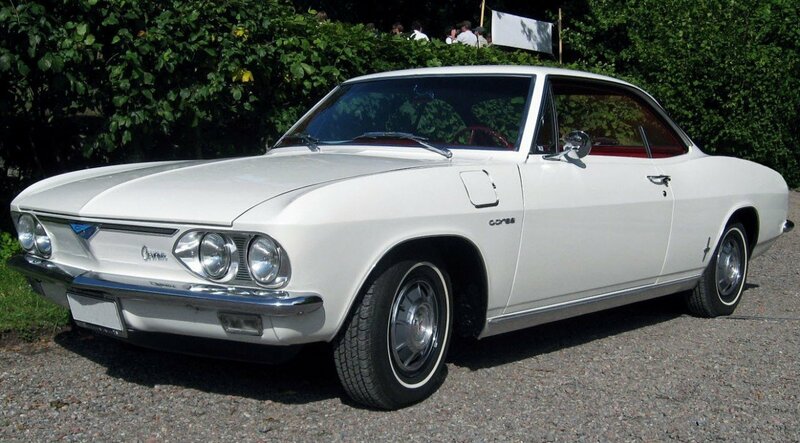 The second generation Corvair came with four engine options; 95 hp, 110 hp, 140 hp, and a turbocharged 185 hp engine. Although not particularly powerful, the four speed option makes driving one of these around town a blast. Here are some good options priced real reasonably on AutoTraderClassics or you can often find these on your local Craigslist. Not considered the most desirable year makes these ’62 Thunderbirds widely available. It’s not uncommon to find the 2 or four door hardtops available in great condition selling for significantly less than $10K. Unlike the mild powered Corvair, the Thunderbird came standard in 1962 with a big block 390 cu in 390 cu in (6.4 L) FE V8 putting out 300 hp. They even made a few ‘M” code 390s which had 3 two-barrel Holley Carbs making 340 hp. The convertible version is the most desirable of all the models, buy even the two and four door versions look good. There’s some for sales on AutoTraderClassics, but I suspect your local Craigslist has a few for sale as well. 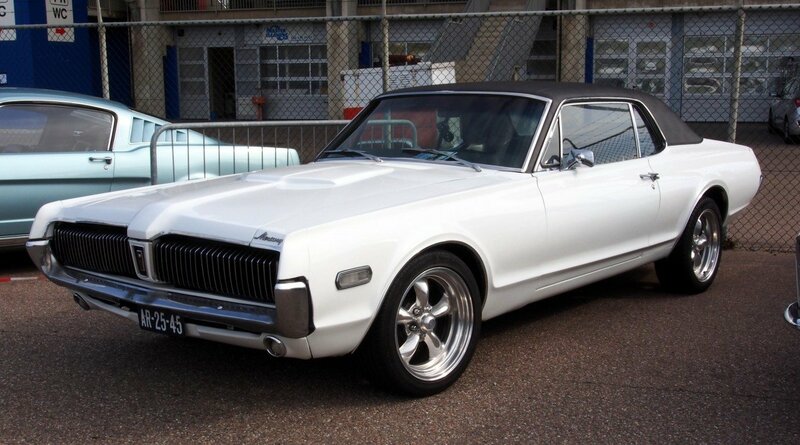 Mercury Cougars have real similar lines to Mustangs, yet they were never as popular or as desirable. 1967 was the first year they made them (shortly after the introduction of the Mustang) and they were available in two models (base and XR-7) and only came in a two door coupe. ’68s came with your standard gamut of Ford engines; 289, 302, 390, 427, and 428. Don’t hold your breath on finding a 427 or 428 version, though. Those can be pretty hard to find. But – the availability of aftermarket parts for the Cougar makes them fairly easy to wrench on. The Cougar in the picture above looks good with AR TT2s (American Racing Torq Thrust 2). These easily recognizable sports cars are widely respected for their fantastic design inspired by Jaguar XKEs long “bonnet”. 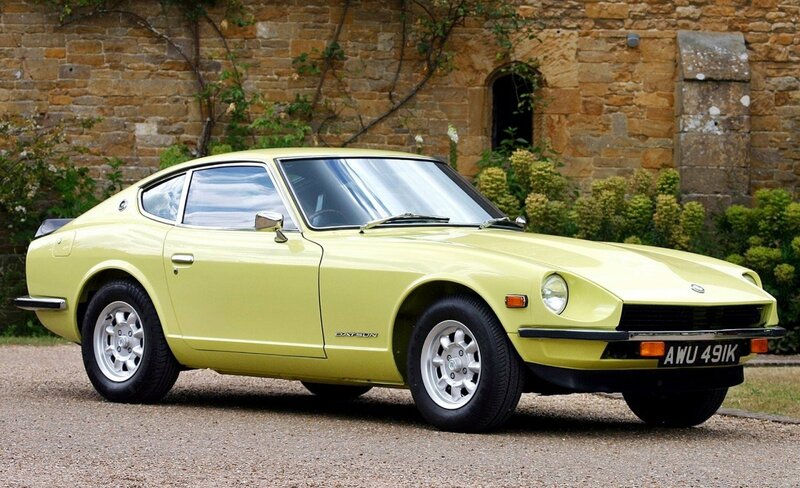 The 240Z had a L24 2.4-liter engine with a manual choke and a 4-speed manual transmission which made these a great little car to drive! For several decades these were not very desirable, thought there has been a recent uptick in interest for these cars making them just a little harder to find in good shape. Availability appears limited on ATC, but Craigslist and eBay are likely to have several of these first-generation 240Zs for sale. 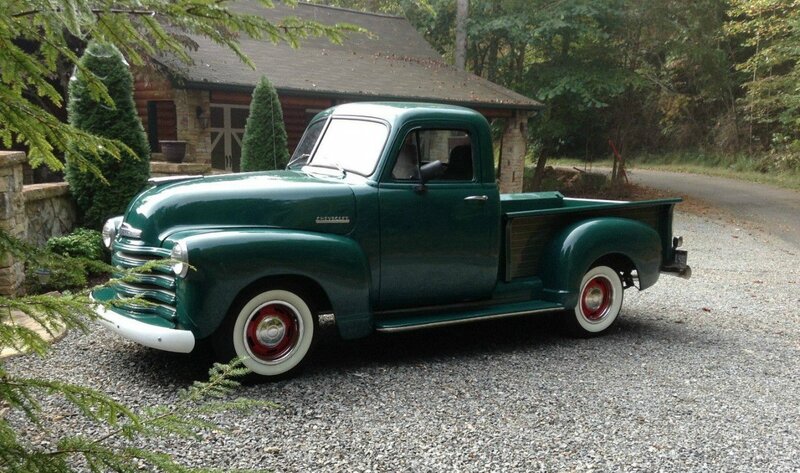 In my opinion, these 49-53 Chevys are some of the best looking classic trucks ever made. 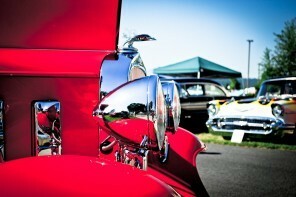 They look good in any flavor, too; Hot rod, rat rod, pro touring, you name it. It’s hard to make one of these old Chevys look bad. Even though they are highly sought after, there were plenty of them made. They all came with a straight six in either 216 ci, 235 ci, or 261 ci. If you like the idea of more power, lots of people drop a 350 in these so how-to documentation on that process is easily available. The popular classic car for sale sites typically have the fully restored and custom trucks for sale, but Craigslist is your best bet for finding a gently used farm truck. The Mustang was the original Pony Car and is one of the most recognizable classic cars today. Movies like “Gone in 60 Seconds” has helped make the Fastback model highly sought after, but solid coupes with straight sixes are still available and affordable. This Mustang, perhaps more than any other car on this list, has an aftermarket availability of every single part so locating parts for maintenance and restoration is very straightforward. If you are shopping for a Mustang, though, be sure to inspect the floors and quarter panels for rust. Replacing metal is a job not everyone wants to get into, but a little surface rust is easily held in check with the proper treatment. ’65 Coupes are easy to find on ATC and eBay and Craigslist. 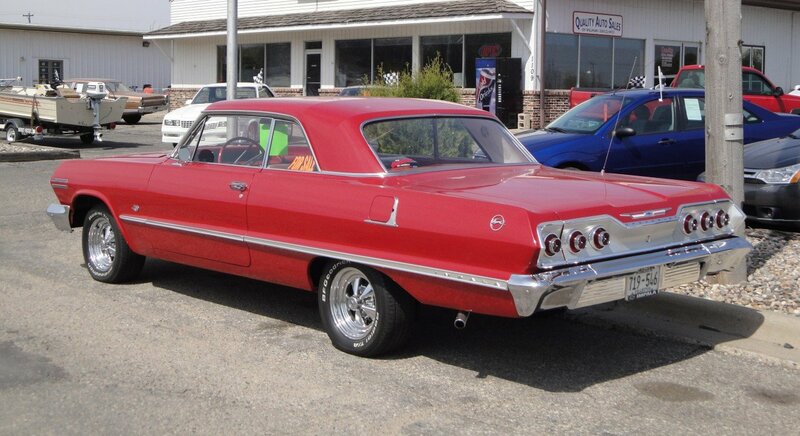 Impala’s are the most desirable full size Chevys from the 1960s. Lots of people prefer the ’64, and others prefer the ’62. That makes the ’63 the most logical early 60s Impala to buy. Like the Mustang, parts are easy to get and there is a ton of information online about these cars covering maintenance, repairs, and customizations. Since the engine compartments were huge, you can pretty much toss anything in them that you want. A small block Chevy 350 is probably the most common aftermarket engine for these (or any Chevy, for that matter). 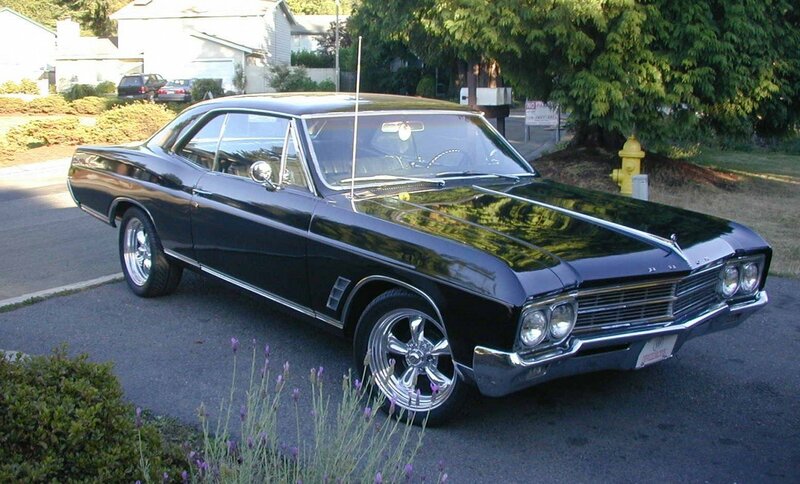 You could be rolling in style in a sweet ’63 Impala on a budget in no time. You may even find a Super Sport and you’ll really be a badass. Check ATC and ClassicCars.com, eBay or Craigslist. Buicks are big, aggressive, and powerful cars. In ’66 you could get one of these with an optional “Wildcat 375”, 340 ci engine which produced 260 hp and 365 lb ft of torque. Although the powerful Buick 455 wasn’t available until 1970, these 340’s had plenty of pep. If you are lucky enough to find a convertible, there isn’t much you would need to do to it to make it look great. Toss on a set of wheels to suit your preference and you’re good to go! ATC and ClassicCars.com don’t have a lot of these listed currently, but keep your eyes on your local Craigslist because you can find them available for a reasonable price. These VW busses definitely aren’t for everyone, but it’s hard to argue with their uniqueness. 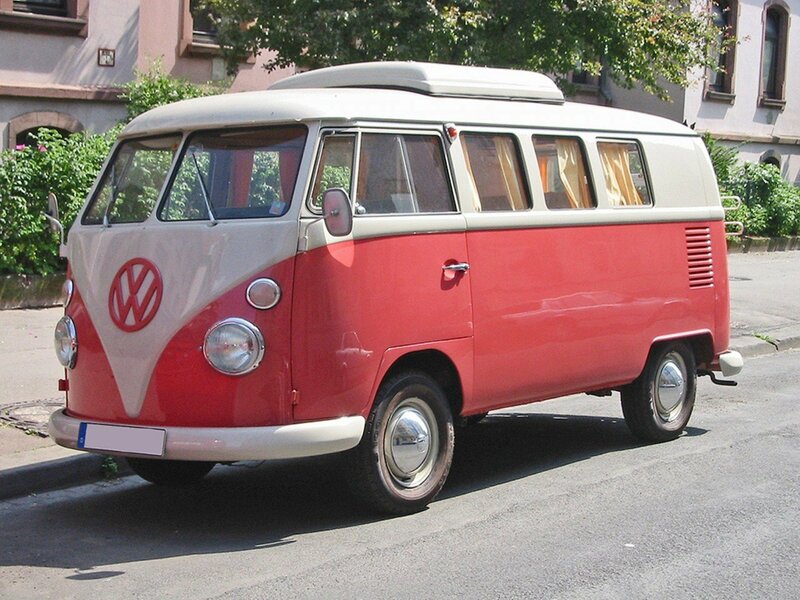 With a variety of models available (camper, bus, etc), the VW bus is an easily customizable vehicle with lots of style. You can find these on Craigslist or eBay for a decent price, and your best bet is to get into one that has already been restored so you don’t have to mess too much with the body panels or engine. WV engines can be finicky, but they are rock solid once you get them dialed in and running right. There is something about these old Volvo Amazons that I really love. They look great in both two and four door version, and I don’t seem them around very often. I’ve seen a few of the wagons versions that got the pro-touring treatment that look superb. 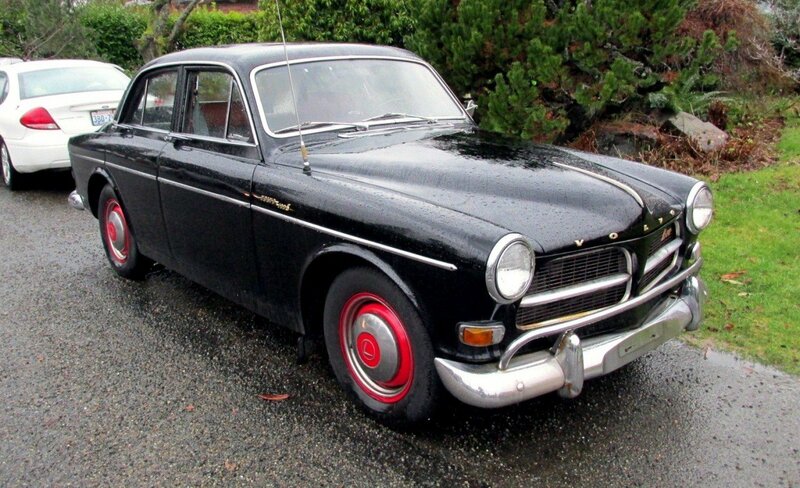 In production from 1956 – 1970, the desirability of the Volvo Amazons has remained low. Multiple engine and transmission options were originally available, but lots of people swap them out for more common and easier to work on setups. The Amazon will be a little harder to find so set yourself a Craigslist alert. 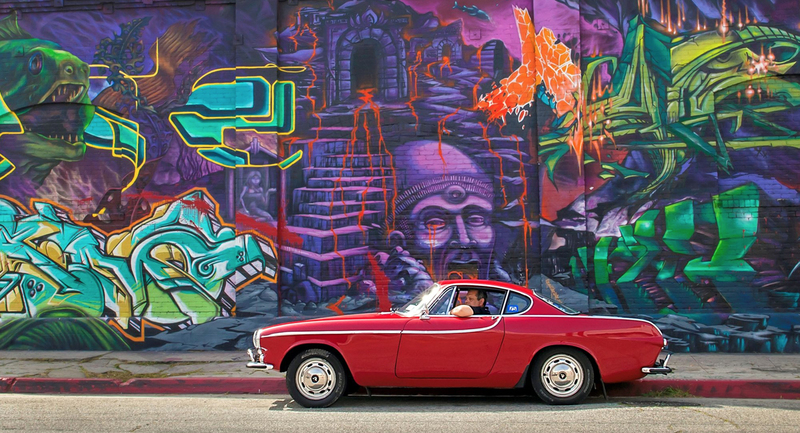 If you’re a muscle car fan, the VW or the Volvo probably aren’t doing much for you. This 1969 Pontiac Firebird (Trans Am) might be just what you need for that sporty muscle car feel (although the one pictured goes for more than 10K, admittedly). Comparable to the Camaros which typically fetch a little more money, the base Firebird is an aggressive car with great lines. There are plenty of variants, too, including convertibles, Formulas, Trans Ams, Skybirds, Yellowbirds, and more. 350s and 400s are the most common engines you’ll find in them, and they are easy to work on. Like the Mustang and the Impala, parts are easy to find too. $10K will get you a project car on the major for sale sites, but you can probably find a better deal on one locally or on eBay. 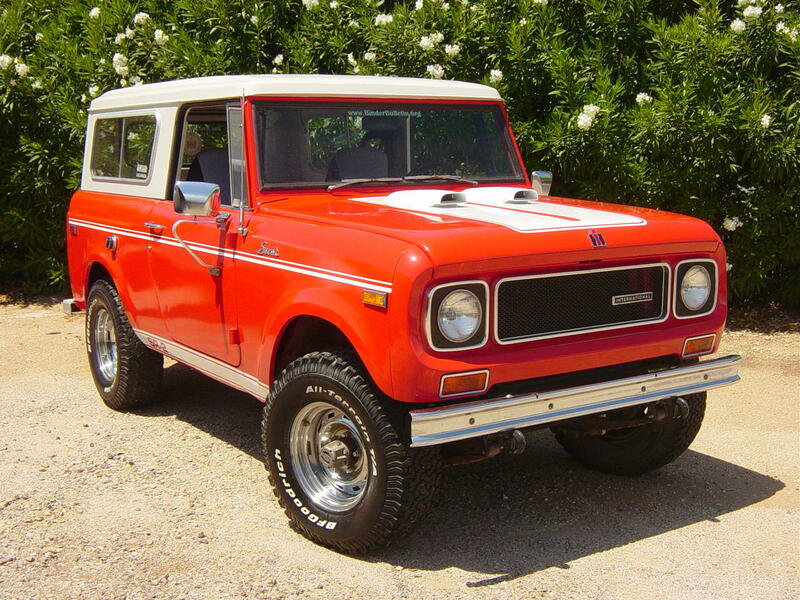 If you love classic 4x4s, you probably like Scouts and Broncos. Scouts seem just to be a little more affordable, so it made the list. The are beautifully boxy and rugged, and there are several styles of builds that all look good on these. Like the Mustang though, you’ll want to thoroughly inspect any candidate for rust in the usual places to avoid having to replace floors and body panels. Once you locate a good one – slap in a good engine and throw some sweet wheels on and hit the road! Be patient on your search though. These can be hard to find so be quick on the trigger when a good one becomes available. As our second VW on this list, this was not an easy choice. 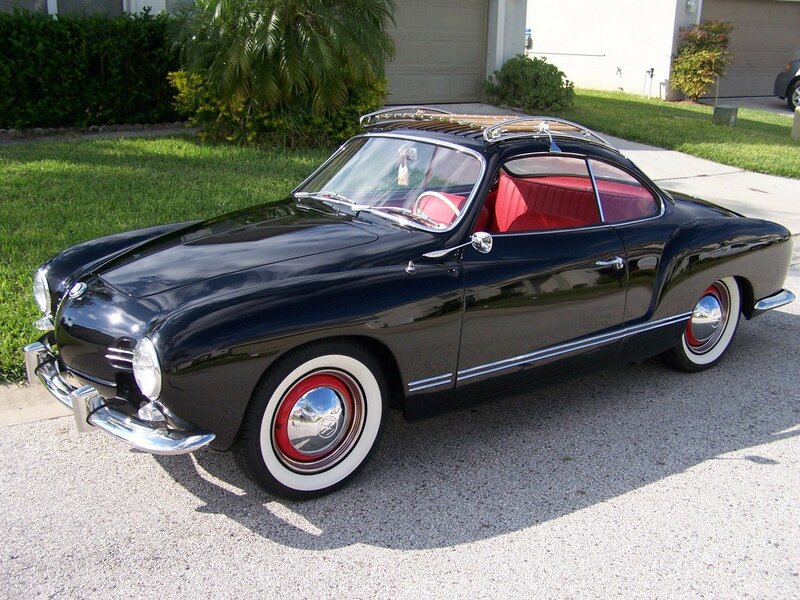 There are plenty of other cars that could have deserved this spot on our list, but the Karmann Ghia is an incredible value and stylish as they get. In production from 1955 to 1954, there were almost a half million of them made! These cars have seen a recent renewed interest from enthusiasts and collectors due in part because of their availability and value. This black one in the picture looks fantastic with those white walls and red-interior matched wheels behind the chrome hubcaps. Like several cars on this list though – you’ll have to keep your eyes out for one of these to pop up. Chance are though, the price will be right. No doubt you know of some cool classics that sell under 10K as well. Let us know in the comments below! Good luck in finding a ’62 T-Bird/’67 Cougar for under $10 grand. 1965 Ford Mustang is the best. 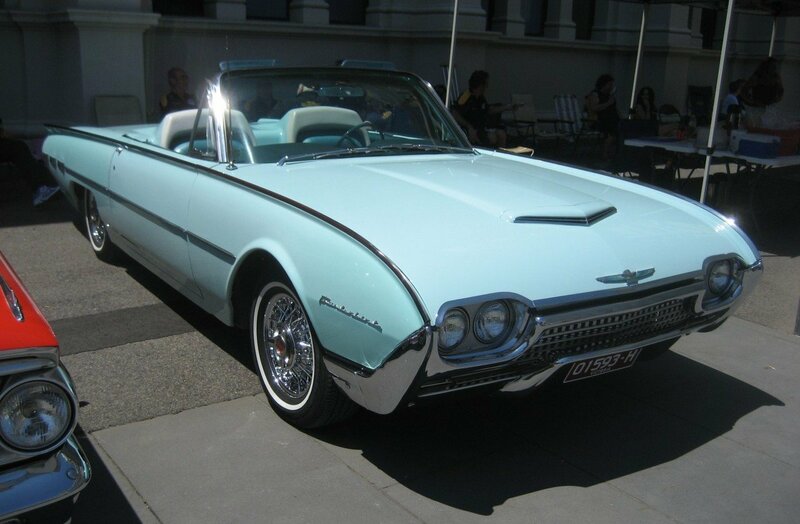 Four-door T-Birds debuted in ’67; not available in ’62. 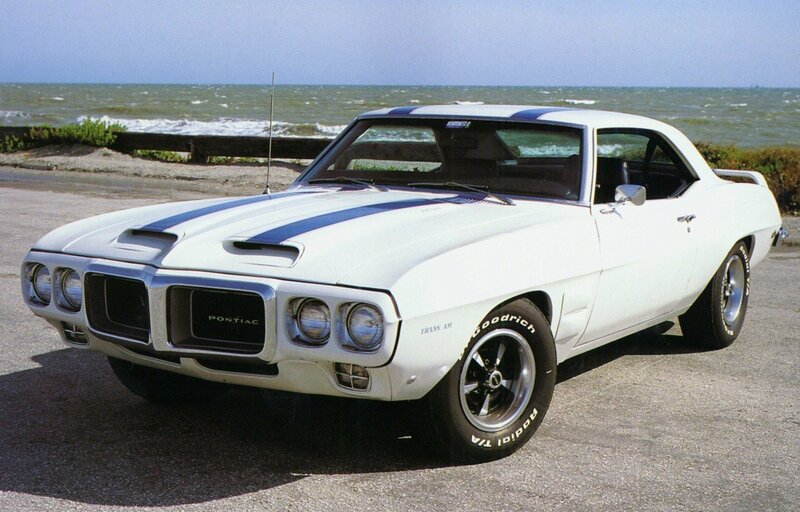 Would love to know where you could get a 1969 Pontiac firebird for anywhere 10k. Not sure it really belongs on this list. The Sunbeam Alpines are pretty cool little sports cars that they didn’t make a huge amount of, but can be found pretty cheap even in great condition. Made from 1959-1967. The 66 Corvair had 4 engine options, not 3 as you state in the article. You omitted the 185 hp turbo charged engine and that was a fast motor. You are correct. Thanks for pointing out the error, Darren! 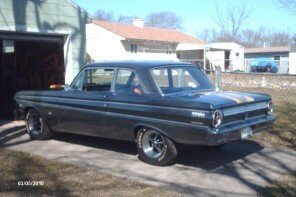 this 64 Ford Falcon is clean. I even like the green!